“If I could win, anybody could win. We’re just normal people!” said the co-worker who claimed the prize on behalf of the others. Eleven co-workers in Santa Clara, California, have won last week's $543 million Mega Millions jackpot, the state’s largest prize ever won in a single ticket. The co-workers, whose ages range from 21 to 61, said they do not participate in a regular lottery pool and simply took a chance on this multimillion-dollar quick pick contest by putting up $2 apiece for the July 24 drawing. Reyes said his instincts told him to purchase the lucky ticket from a small business — in this case Ernie's Liquors in San Jose. “We’ll probably have a better chance with a mom-and-pop shop,” Reyes said he told the team. The players plan to keep their jobs even after they split the winnings evenly. They don't have to worry about breaking the news to their supervisor — he was part of the lottery pool. The players can choose to take the $543 million (minus federal taxes) in annual installments over 29 years, or a lump cash sum of $320.5 million (also minus taxes). The lump sum option would give them about $29 million each. "It helps real people and families,” Reyes said. The news release mentioned paying off mortgages, kids’ college tuitions and traveling. 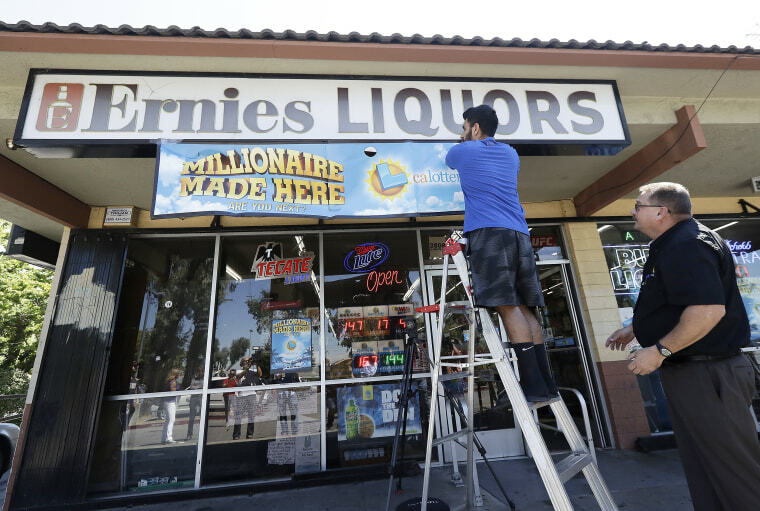 Kewal Sachdev, the co-owner of Ernie's Liquors, will also walk away a winner, with the maximum "retailer bonus" of $1 million, which is separate from the players' winnings.